1953 Otto and Rosa Moc found a metal and plastic processing company. 1960 Move to Ellwangen onto own property. 1970 Injection moulding moved to new factory building. 1974 Changing from OHG to KG. 1978 Harald Moc takes over management. 1980 Extension of mould making facility. 1985 Building up a fireproof mould storage (T180, doors T90) for around 90 pallet places. 1992 Michael Moc (Dipl. 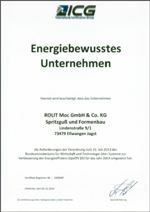 Betriebswirt) enters the company as limited partner. 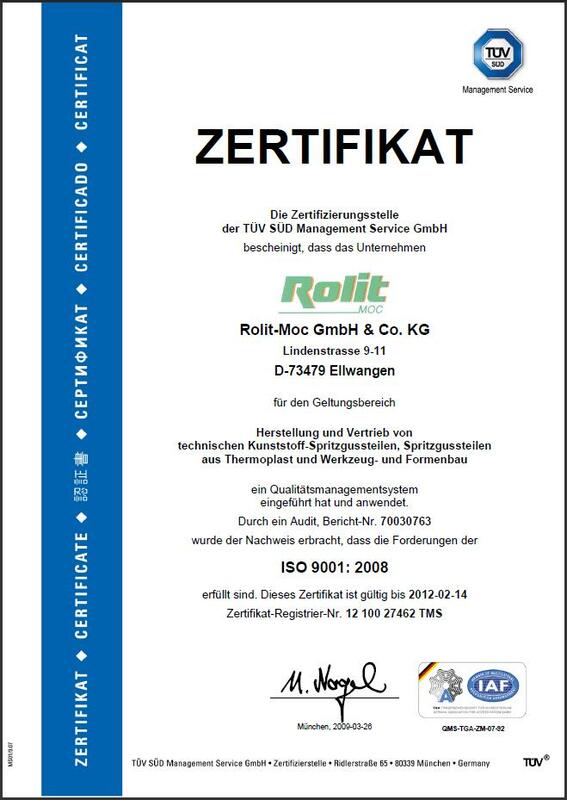 2000 Changing from KG to GmbH & Co. KG. 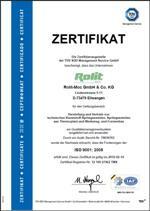 Our website was awarded Top Business Site 2002 by mondus.de and ebb.de. 2004 English website due to increasing trade with international business partners. 2005 Production capacities in Hungary are established. Move to new office rooms. 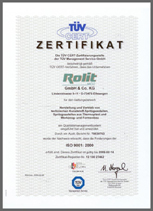 Rolit Moc was certified for its excellent quality by Carl Zeiss Oberkochen. 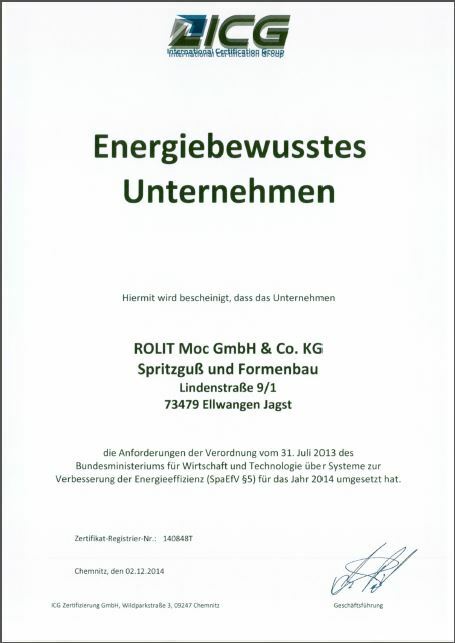 2014 External confirmation as an energy-conscious company. 2014 Michael Moc takes over management. 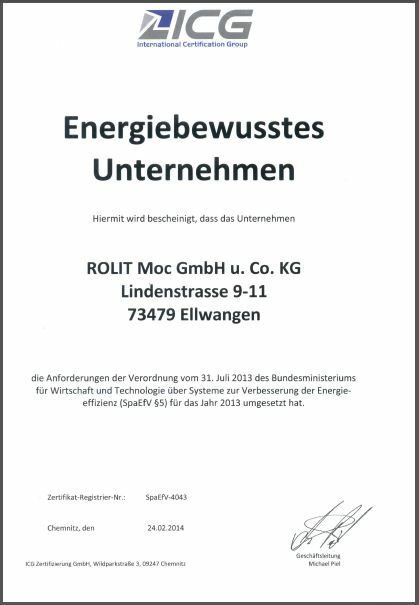 2015 Confirmation of our DIN EN ISO 9001:2008 certificate and energy-consciousness. 2017 Corina Moc has been provided with general commercial power of representation. 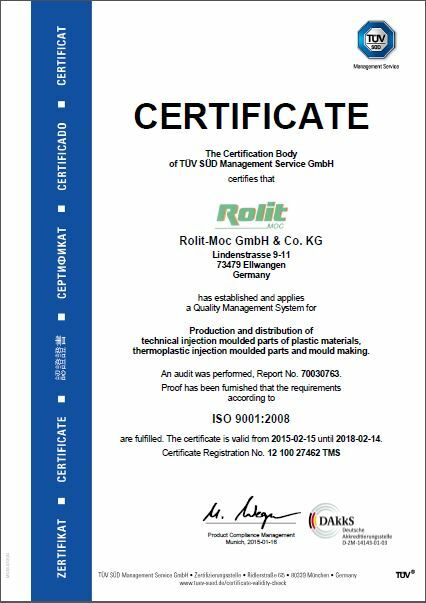 2018 On January 16th we had a successful certification according to DIN EN ISO 9001:2015. 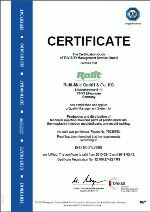 This proved once more our consistent and excellent product quality.